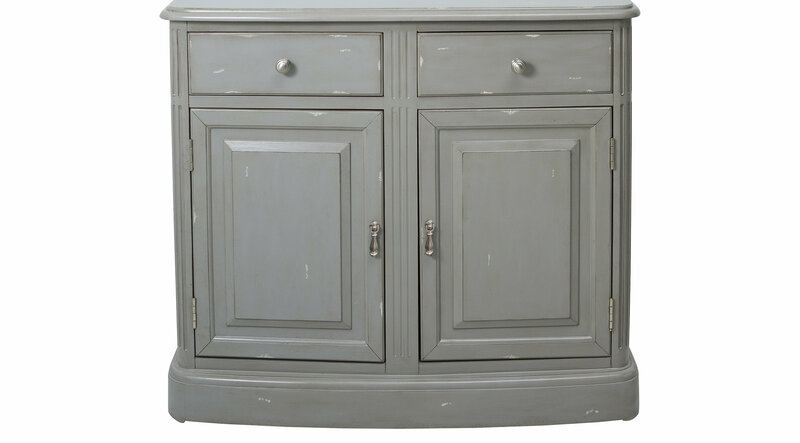 Distressing adds interest to a simple design for the Annette gray accent cabinet. The deep gray finish reveals lighter rub-through tones. Door knocker hardware opens the doors to reveal a contrasting pink interior that can also be found inside the top two drawers. Fluted pilasters with heavy frame and overlay details add to the traditional feel of the piece, while the weathered finish adds an approachable, old world element.